It seems like we start hearing about the holidays from the retail world earlier and earlier every year. More and more it’s before Halloween that we start to see sales for decorations and holiday movies on TV. Needless to say, now that the calendar has turned to November, it’s time to get ready for the all-out holiday blitz. But first, let’s not forget about Thanksgiving. Here in New England, the history of Thanksgiving runs deep, of course. It’s no secret that the Pilgrims adopted this celebration from the Native Americans, but did you know that several feasts throughout the autumn were held to celebrate the harvest? We’re thankful we only have to plan for one! And if you don’t feel like cooking this year, why not join us for our annual Thanksgiving Dinner? Reservations always fill up fast, so don’t delay! Christmas in early New England looked quite different from how we know it today. 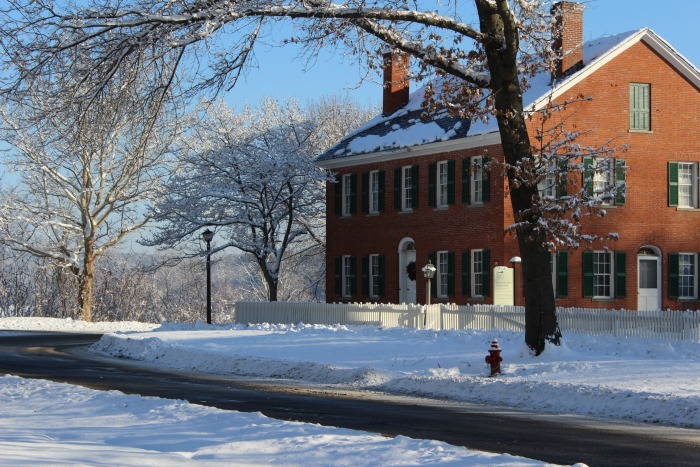 Here in Deerfield, December was a popular time for weddings in the 18th and 19th centuries, and social gatherings such as balls and dinner parties. As the Christmas tree was not introduced until the mid-19th century, decoration was rare. 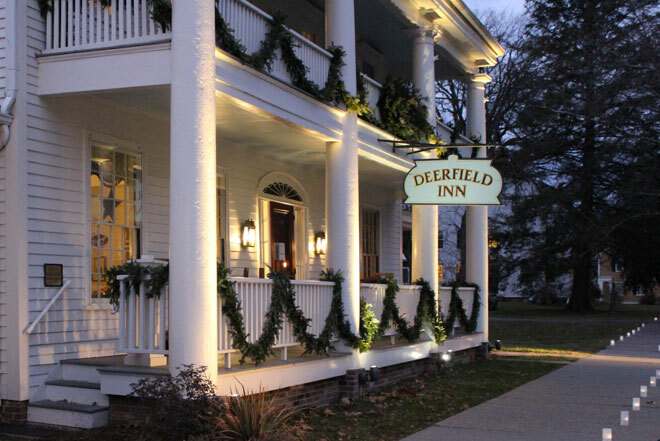 In that vein, Historic Deerfield marks the holiday season every year by putting natural, hand-made wreaths on the historic homes here on Old Main Street. An army of volunteers makes the wreaths every year in order to give a festive look to the village without sacrificing historic significance. 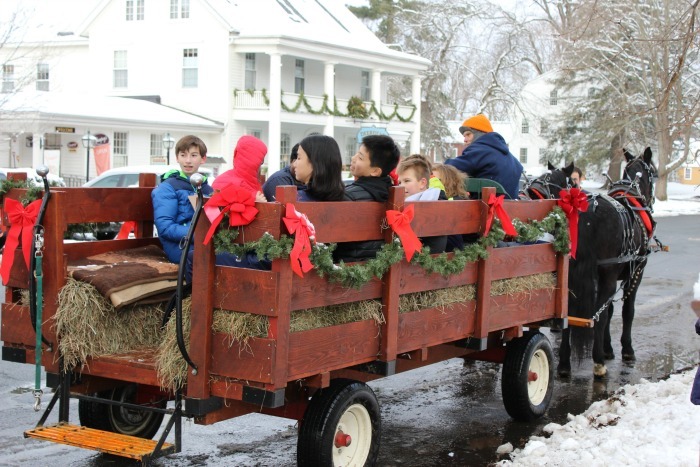 A series of events throughout December gives visitors of all ages the opportunity to enjoy the holidays in Massachusetts. Visit historic-deerfield.org for more information and to plan a visit. Across our local area, there are many activities to enjoy the holiday season. Yankee Candle Village, just down the road from us, kicks off their holiday season before Thanksgiving, and Santa arrives just after in a very clever way. Local theatre groups provide lively performances of old favorites, such as A Christmas Carol, and there’s no shortage of concerts and holiday fairs to be found. 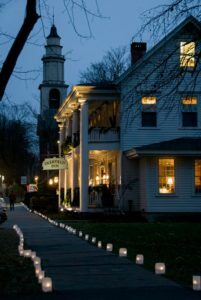 Join us at our Deerfield, MA B&B this holiday season, cozy up to the fire and immerse yourself in a good, old-fashioned holiday.